Back in October, Swype announced that with Swype BETA 3.26, the popular keyboard solution would have automatic update capabilities, replacing the tired routine of uninstalling Swype and using the proprietary installer with a significantly easier OTA process, which keeps all your settings intact. This version of Swype contains a new component that we call the Context Prediction Engine (or "CPE" for short). CPE provides Swype with more sophisticated linguistic processing that improves both swyping and tapping accuracy. It does this by looking at previous words that you have entered (i.e., context) and which words tend to follow. For example, if you enter the phrase "I jumped into the mosh" and then swyped from 'p' to 't', you would expect Swype to generate "pit" as the default choice. Without CPE, Swype would have generated "put" because it is a more common word, but with CPE it favors "pit". The overall effect that you should see is improvements in Swype’s choices when you swype or tap. 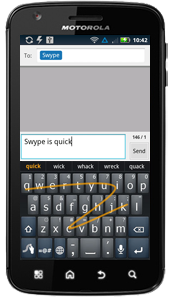 CPE also learns as you use Swype; there will be additional improvements as you continue to use it. Besides the prediction engine, Swype's debut OTA has added support for Japanese language (kana-kanji conversion), available in the pan-Asia package. Otherwise, the OTA brings a variety of bug fixes. The addition of a prediction engine to Swype is something many users have been asking for, and, frankly, a feature Swype has needed for a while now, and it will be interesting to see how it holds up with prediction powerhouses such as SwiftKey. 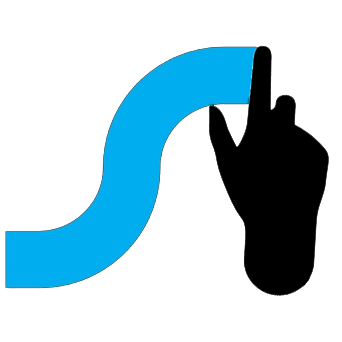 Swype BETA users can expect an update notification within 72 hours.